Now you can install npm packages without sudo. Can we integrate ActiveMQ with Node.JS ? Messages contain business data and are routed through networks using protocols. There are many vendors that have their own implementations which follow this standard. Such as IBM WebSphere MQ, ActiveMQ, etc. 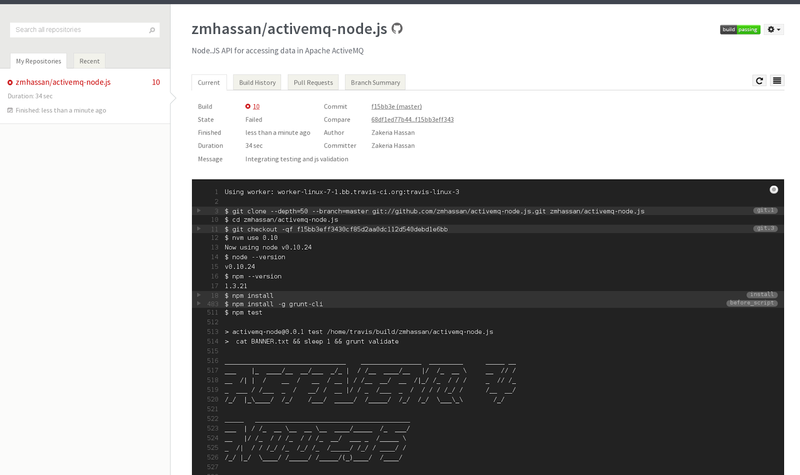 ActiveMQ is open source and a powerful messaging system used across the enterprise. It is possible to integrate it but you would have to write some code to do that. Luckily I just thought about starting this project after watching this TED talk by Tim Berners-Lee on openness of the web and access to data. I will be following and implementing open standards also the code will be open source. I will be working on this project at https://github.com/zmhassan/activemq-node.js and if anyone is interested feel free to join in on the fun programming. As you can see I got build errors. I’m using a continuous integration system to test quality of the code and do it continuously. I believe in writing clean code. 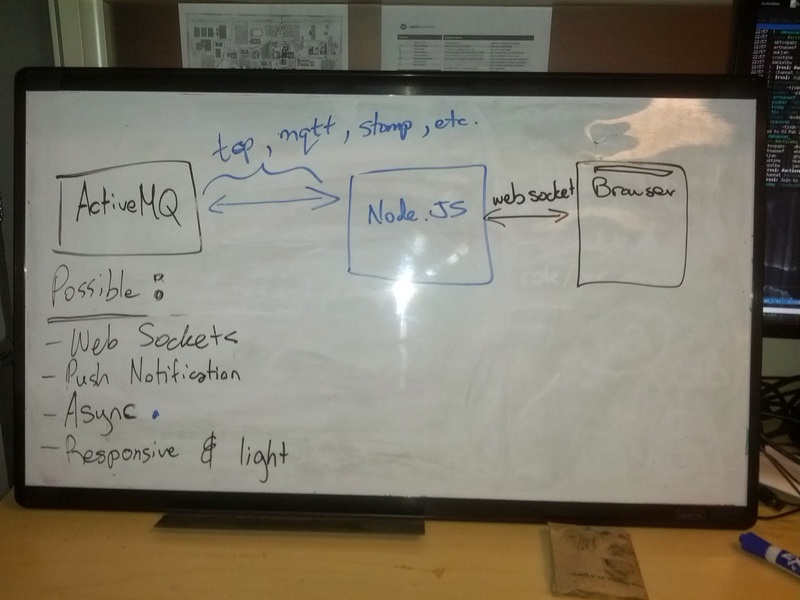 I made a proposal to the Apache ActiveMQ community to replace the existing web console with a light-weight Node.JS web console. Note: This will run standalone and communicate to ActiveMQ via the following protocols: stomp, tcp, mqtt, etc.